The year ain’t over yet! Our AFTER HOLIDAZE 2018 SALE is now LIVE at Lady Death Store! TAKE 20% OFF MOST ITEMS STOREWIDE! 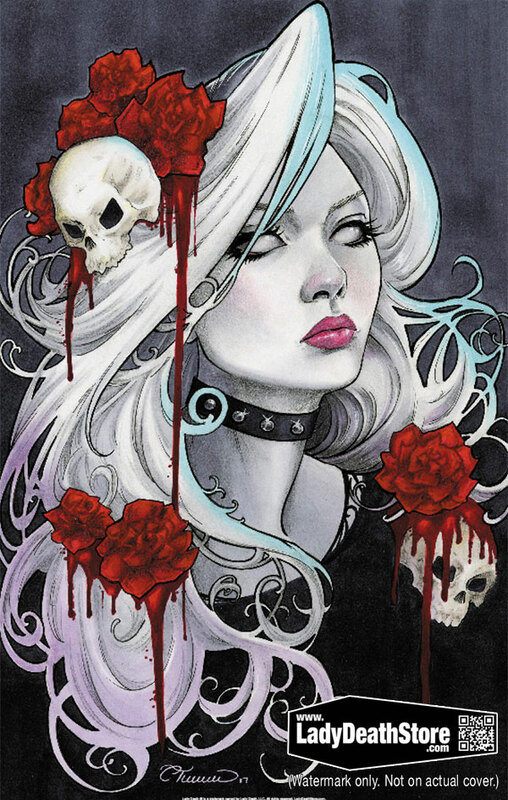 20% OFF nearly everything* at Lady Death Store, including the new AFTER HOLIDAZE exclusive editions listed below! This discount will be calculated during order checkout. IMPORTANT NOTE: The 20% promotional savings do not apply to Vault items, statues, figures or advance preorder items. This discount does not stack with other discounts or offers. We’re offering 10 new exclusives during the AFTER HOLIDAZE 2018 sale! See below for details! THE VAULT IS OPEN FOR ONE LAST TIME THIS YEAR! PLEASE NOTE: Vault items do not qualify for discounts. Better hurry because the promotional savings and this final VAULT opening will END on Wednesday, January 2, 2019 at 9:00AM MST (11:00AM EST)! We found some more stuff you might dig! Nearly 30 products are listed under WAREHOUSE FINDS! Get them before they’re gone! Preorders for our AFTER HOLIDAZE 2018 exclusive editions are now LIVE at Lady Death Store! Check them out! NOTE: We expect to ship these exclusives on the Week Ending January 11, 2019. Included FREE with the first 300 orders over $15.00 (excluding postage) received during the AFTER HOLIDAZE promotion! One per customer, per household. Not available for individual sale. Limited to the number of copies ordered by Wednesday, January 2 at 9:00AM MST (11:00AM EST). Individual copies will be serially numbered! Full color, 24 pages. METAL front cover. Strictly limited to one (1) copy per customer, per household. Duplicate orders may be cancelled without notice! A collection of all four (4) 11×17″ prints listed above. 4 prints for the price of 3! 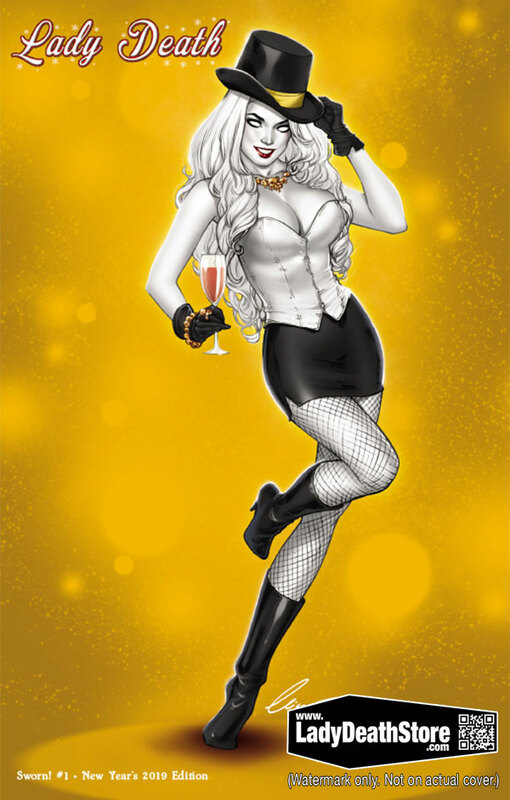 NOTE: Censor bar does not appear on actual Naughty New Year 2019 print. 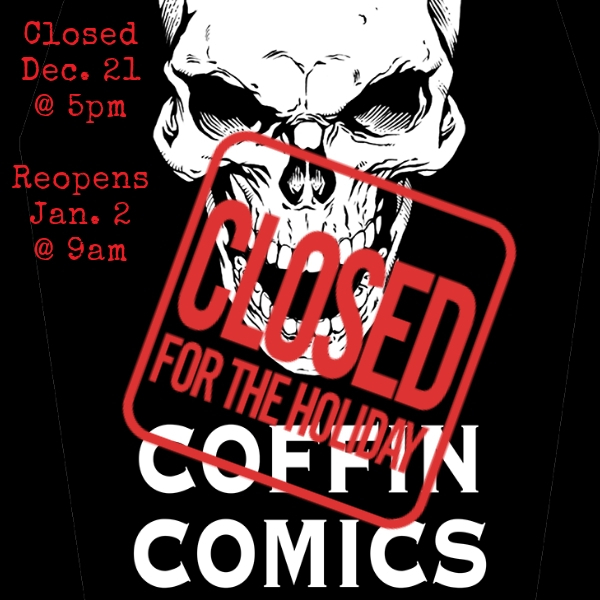 Lady Death Store and Coffin Comics, LLC are currently on holiday break. 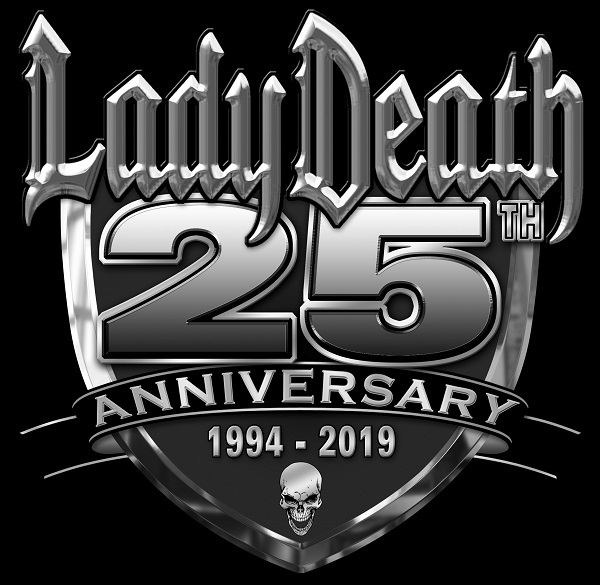 We will continue to accept orders at Lady Death Store during our holiday break, but please be advised that our warehouse will be closed and our customer service response time will be limited until we return from break on Wednesday, January 2. Thanks again for backing Hellwitch: Hellbourne on Kickstarter! We are distributing our first 5% of backer surveys on Monday, December 3 and the remaining 95% of backer surveys will be distributed on Tuesday, December 4. Because some of you may be first-time backers on Kickstarter, we have prepared some helpful information on how to navigate and respond to your backer survey. Depending on what you pledged for, we will ask a few simple questions that will help us better fulfill your rewards in January. Simply answer these multiple choice questions and you’ll be brought to the next step. We apologize but due to capacity, we cannot offer personalizations from Brian on reward items. Next, you will be brought to the Add-Ons section of your backer survey. Here, you will have an opportunity to add additional goodies to your order at your option. If you choose any add-ons during this step, we will ask you to provide a credit or debit card number to pay for the balance due at the end of of your survey. 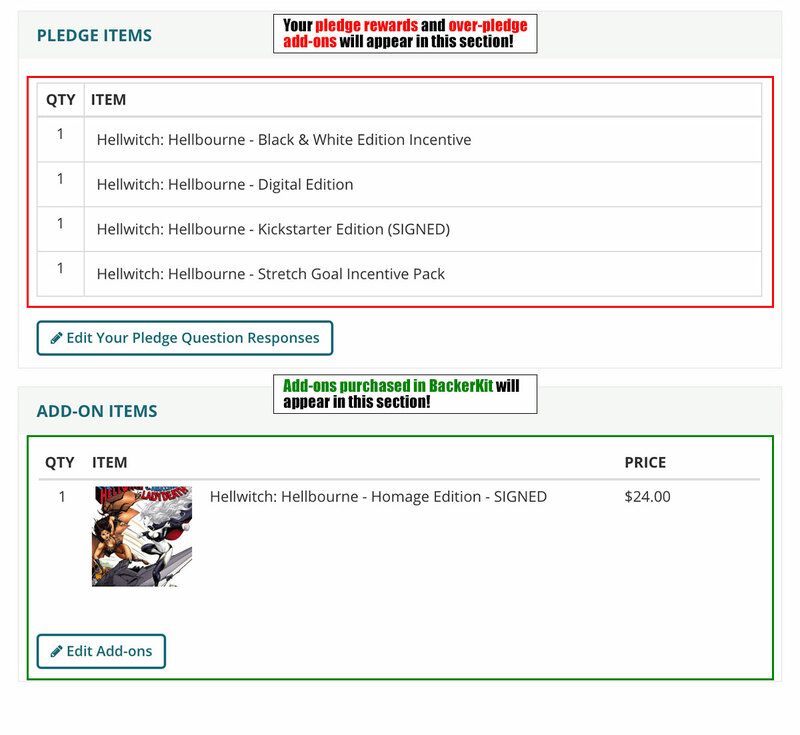 IMPORTANT NOTE FOR OVER-PLEDGE ADD-ONS: If you over-pledged for add-ons during the Hellbourne Kickstarter, we have already accounted for your add-ons and you do not need to order them again! 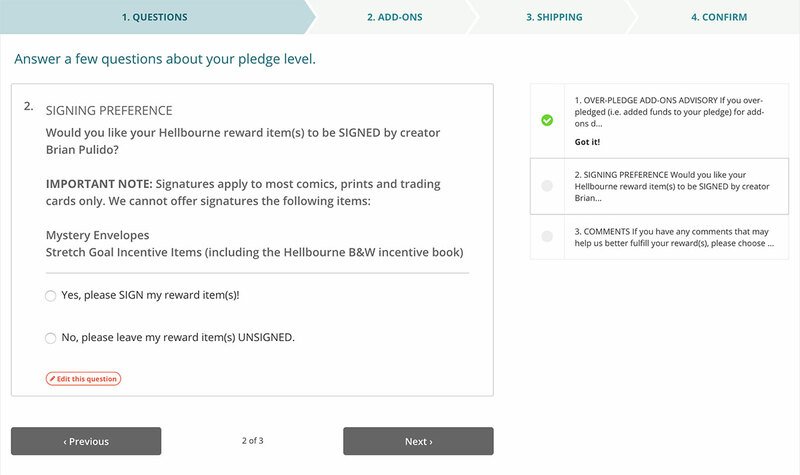 Any over-pledge add-ons will appear under the “Pledge Level” heading on the upper-right of the screen in this section (see figure to the left). The “Complimentary Credit” line will have a negative value entered that accounts for the dollar amount you over-pledged that got applied towards your over-pledge add-ons. This is normal! You will be brought to this step if you have rewards on your order that need to be shipped. Simply fill out your address and phone number here and click the “Next” button. NOTE: If your order only contains digital items, you will not see this step. This is the final step! Here, you will confirm your order for fulfillment. The shipping address (if required) you entered will be listed here, so please make sure it’s accurate! 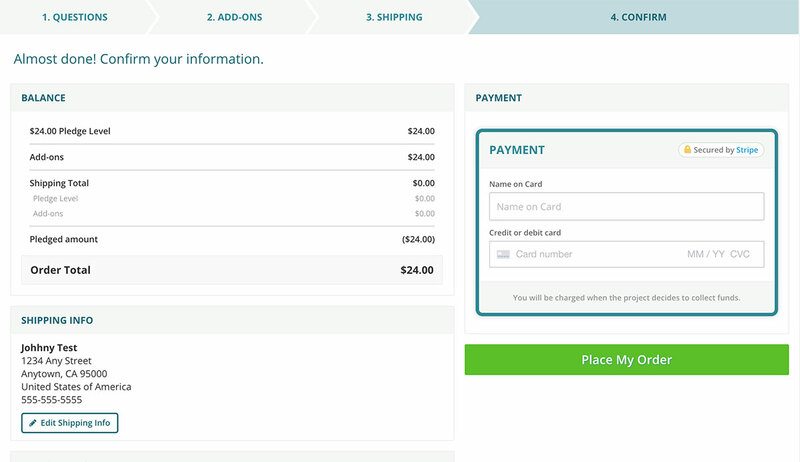 If your order has a balance due for add-ons purchased in BackerKit or for an owed amount from the Kickstarter, you will also be prompted to enter your card information in the “Payment” section. 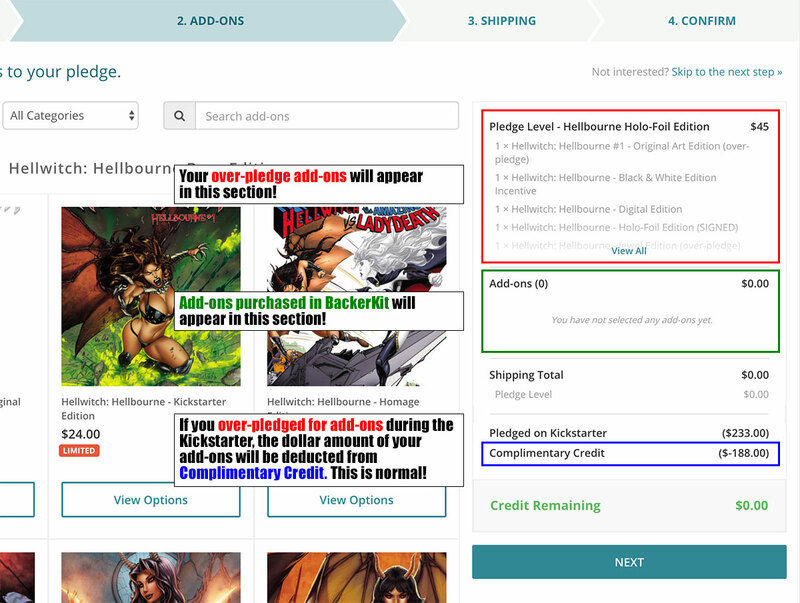 Near the bottom of this page, you will see listing of your pledge rewards and any add-ons you purchased in BackerKit (see figure on the right). Make sure your items are accurately listed. If they are not, please message us on the Hellwitch: Hellbourne Kickstarter or contact us at inquiries@coffincomics.com for assistance! If everything looks good to you, simply click the “Place My Order” button to confirm your backer survey! We will be locking down survey responses on Wednesday, December 12 at 5:00PM Arizona Time. If you needed to enter payment information to complete your order, please be advised that we will be billing cards during survey lockdown on Wednesday, December 12 at 5:00PM Arizona Time. Please plan accordingly! Thanks again for supporting Hellwitch: Hellbourne on Kickstarter! We plan on fulfilling all rewards in January! BLACKEST OF THE BLACK at Lady Death Store was so successful that we’re extending the savings through CYBER MONDAY and we’ve just made everything better, including 10% OFF remaining VAULT items! Don’t miss out on our special promotional savings and the FINAL day of the VAULT being open! Everything goes back to normal (yes, really!) on Tuesday, November 27 at 9:00AM MST (11:00AM EST)! SPECIAL SAVINGS ON MANY ITEMS STOREWIDE! GET 20% OFF MOST REGULAR ITEMS! Receive 20% OFF many items available* at Lady Death Store, including the BLACKEST OF THE BLACK exclusive editions listed below! NOW RECEIVE 10% OFF ALL REMAINING VAULT ITEMS! The remaining items in the VAULT are now eligible to receive a 10% discount at order checkout! Grab them at these special promotional savings while you still can! PRICES SLASHED ON REMAINING WAREHOUSE FINDS! We have also just slashed the prices on all remaining Warehouse Finds! You’ll now receive a lower price on these items in addition to the 20% OFF promotional savings at order checkout as long as you order before the sale ends! Please note that the 20% OFF and 10% OFF discounts mentioned above will be calculated during order checkout. *Statues, figures and advance preorder (e.g. non-released comic market editions) items are excluded from these offers. These offers do not stack with existing discounts. LIMITED TIME OFFERS! Hurry because these promotional savings will be going away for good (yes, really!) on Tuesday, November 27 at 9:00AM MST (11:00AM EST)! THE VAULT WILL REMAIN OPEN FOR CYBER MONDAY! Our infamous VAULT at Lady Death Store will remain open for Cyber Monday, but will close until further notice on Tuesday, November 27 at 9:00AM MST (11:00AM EST)! And even better, you’ll now receive 10% OFF at order checkout on all remaining VAULT items, as we had mentioned previously! Hurry! The VAULT will close until further notice on Tuesday, November 27 at 9:00AM MST (11:00AM EST)! Nearly 20 warehouse finds are still available, so be sure to check them out before they’re gone! As mentioned previously, we’ve slashed the prices of all remaining warehouse finds and you’ll still receive your 20% OFF savings at order checkout through Tuesday, November 27 at 9:00AM MST (11:00AM EST)! We expect to ship all orders related to the BLACKEST OF THE BLACK and CYBER MONDAY sales promotions on the Week Ending December 14, 2018. Limited to the number of orders received by Tuesday, November 27 at 9:00AM MST (11:00AM EST). Editions will be serially numbered. Full color, 24 pages. Cover enhanced with real Swarovski crystals! Limited to just 66 serially numbered copies! 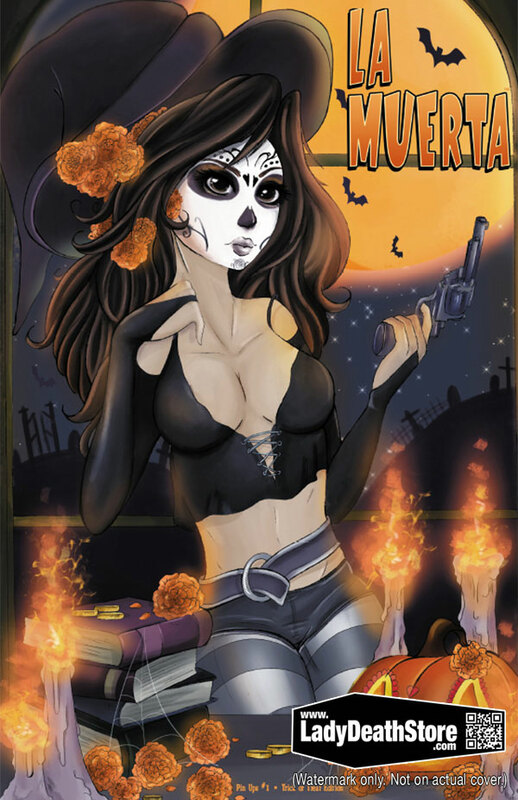 This cover interlocks with La Muerta: Pin Ups #1 – Trick or Treat Edition listed below! Limited to two (2) copies per customer, per household whiles supplies last during BLACKEST OF THE BLACK. Duplicate orders may be cancelled without notice. Limited to just 66 serially numbered copies! 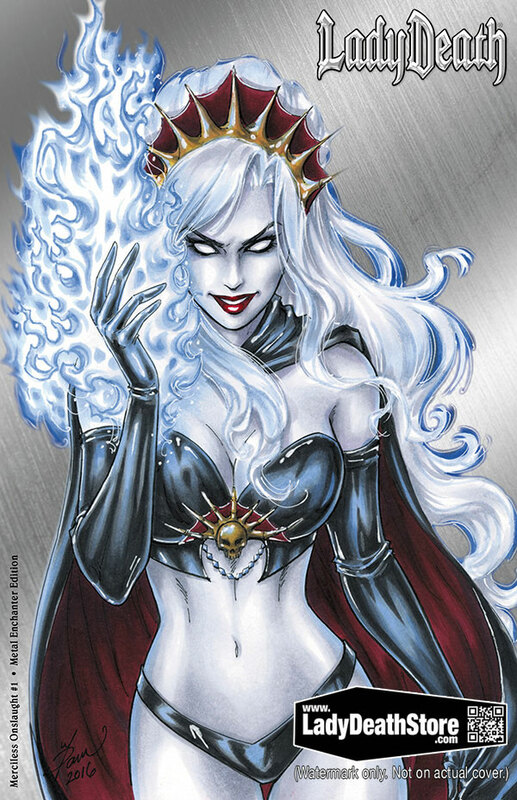 This cover interlocks with Lady Death: Gallery #1 – Trick or Treat Edition listed above! Limited to two (2) copies per customer, per household while supplies last during BLACKEST OF THE BLACK. Duplicate orders may be cancelled without notice. SOLID METAL collectible trading card! Limited to just 99 serially numbered cards! NOTE: Censor bar does not appear on actual card. Full color 11×17″ on premium glossy stock. NOTE: Censor bars do not appear on actual Naughty FTW and Naughty Candy Cane prints. Remember, CYBER MONDAY ends on Tuesday, November 27 at 9:00AM MST (11:00AM EST)! Get in on these savings before it’s too late!